We love to spotlight our Certified Diamond Dealer partners and some reasons why you need to visit their stores. 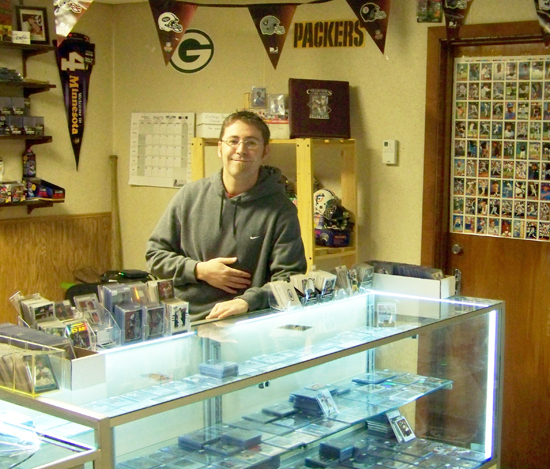 If you haven’t been to a card store lately and are in the Wisconsin area, make sure to visit our Featured Retailer. Jay's Sports Cards & Memorabilia is located in the basement of this retail address so he has to work hard for people to find his business. Now my main job is helping our hobby shops be successful and a piece of that would also be to keep them in business. We reached out to the shop owner who posted those remarks and found out more about what was going on with him. I was immediately impressed by his passion. He had worked hard to get the shop open by supporting his business with revenue from his former main business. 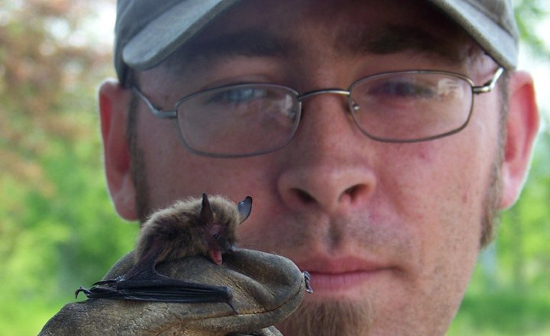 Jason (Jay) removes bats from businesses and residences without harming the little critters. 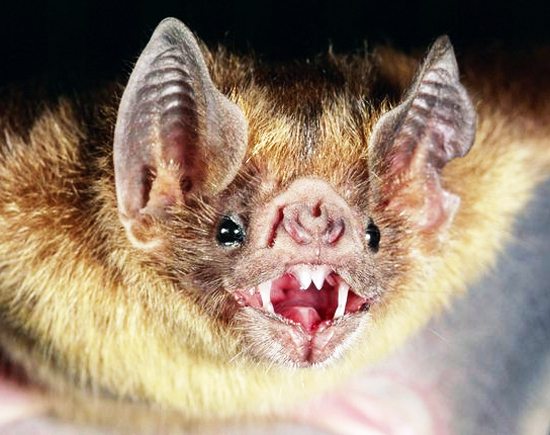 His business (Bats by Day) has done well for him, but I immediately sympathized with his plight. Wouldn’t you rather be dealing with sports cards than something like this? Yikes! I'd much rather be talking trading cards that shooing this guy & his family from an attic. “My name is Jason, but most people call me Jay. 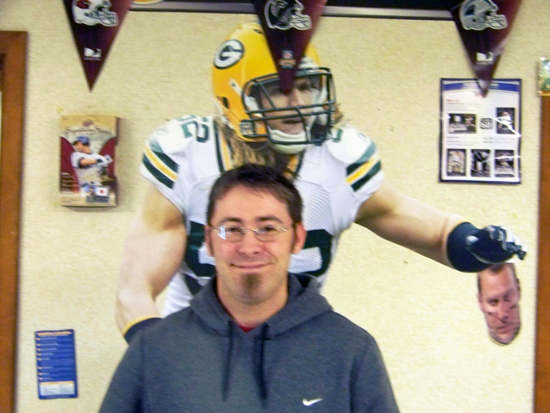 I own Jay’s Sports Cards & Memorabilia in Ashland, Wisconsin and we have been open since November of 2010. I started collecting cards at the age of four when my uncle gifted me a small collection. They were probably all commons, but I loved them anyway. I got my first pack of cards in 1988 and pulled a Tom Glavine rookie card and he has been my favorite player since. “At the age of 10 I walked into a card shop for the first time in Washington and knew that this is what I wanted to do. I looked around in the shop and there were cards upon cards with $100 price tags on them, I could have stayed in there for hours on end. I had brought in my most valuable cards to see if I could sell them, to my dismay the most valuable card I had was just one dollar, but to a 10-year-old that is a lot of dough. “The card shop owner told me they were looking for higher dollar items and to bring them in if I got them. It took me a little more than a year and I hit a Frank Thomas Triple Crown insert out of an Upper Deck product valued at $15.00. I sold it for $7.00 and at that moment I was hooked! “I opened the shop to fulfill a life long dream and because there are no card shops in Ashland with the last one closing in 2001. 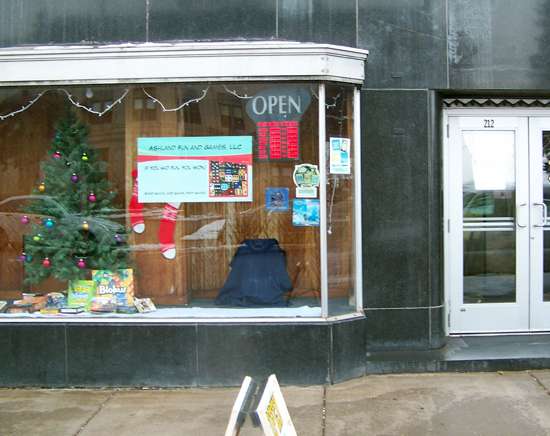 Another reason I opened the shop is because there really isn’t much for kids to do in Ashland. I wanted to provide a fun and safe place for kids to go. I remember my experiences in card shops as a young boy and I want to be able to provide that to other kids. Unlike most businesses I promote loitering. Come down to Jay’s, talk about sports and check out some cards you hope to add to your collection one day. 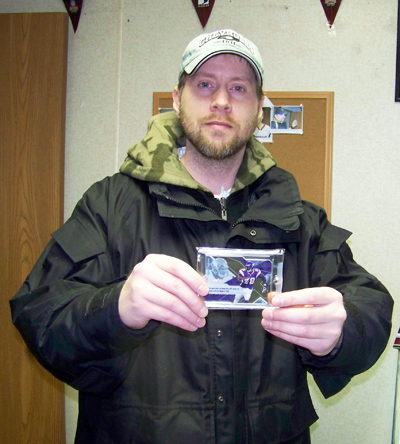 Since Jay opened, his customers have been pulling some amazing cards like this Adrian Peterson one-of-one card! “I love the hobby and I am very passionate about sports; mainly baseball and football. I grew up a baseball player and like any kid I wanted to be like Mickey Mantle or Ken Griffey Jr. I would pretend to be in the bottom of the ninth with the bases loaded, two outs, a full count, down by 3 runs, in the final game of the World Series. I frequently hit a home-run in those circumstances and the crowd went wild, aaahhhh! Today I’m not looking to hit a home-run with my shop, I’d be very happy with a series of singles to help keep the business going. 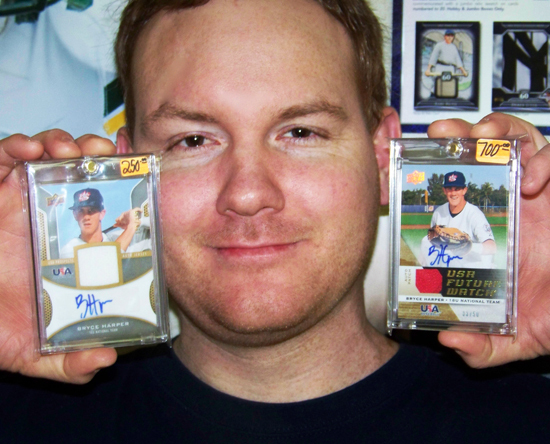 “At Jay’s Sports Cards & Memorabilia, we do more than just sell cards. I want to help new collectors understand the hobby and how to be happy with their collection. I want to teach kids how to take care of their cards because I know I didn’t when I was younger. If someone new comes down to the shop and I don’t have what they are looking for I will go and find it for them. Jay is eager to help all of his customers find what they are looking for when it comes to helping them get closer to the game they love. “But for those who do love cards, we have a great assortment of new and vintage stock with boxes, packs and singles. I am also happy to trade with customers as well. Another reason folks should come to Jay’s is because we hit big cards in here all the time. Since opening we have hit over 20 one-of-one cards and around seven Bryce Harper autographs! I’m not saying every box will yield huge hits, but it seems we get some great luck here in Ashland. In my 26 years of collecting I have never seen this many big hits pulled until I opened the shop. Holy Harper! Jay's customers have been discovering some amazing cards at his shop and we don't want that to stop! Look out behind you Jay, it's way more dangerous than a bat! And not like this… Don’t you agree? Careful Jay, he looks like a biter! 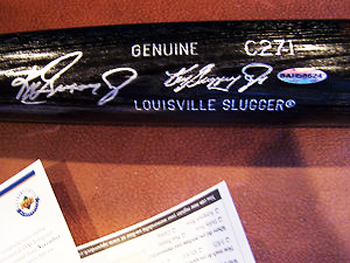 Signed bats are more up Jay's alley in our opinion! And what can you expect to score if you attend the “Save Jay’s” event? Well this is just a portion of the items we are helping Jay out with. Don’t miss out!!! 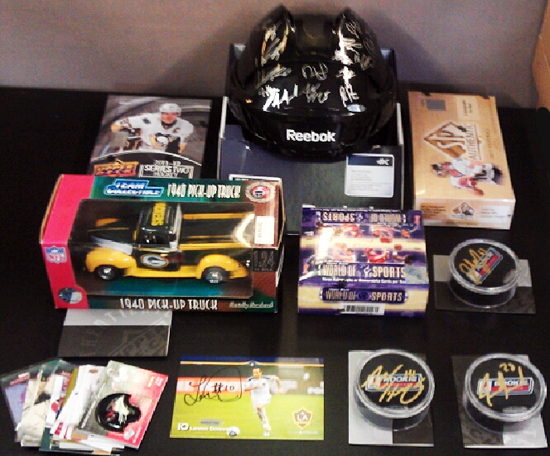 All these goodies are going home with Jay's customers, don't miss out!!! Join Upper Deck at the 2019 Winter Classic in Chicago! Hi Jay I just wanted to wish you the very best. I also live in a very small town in Canada B.C and there aren’t no card shop near by for 2 1/2 hours away. Good Luck. What a great effort….it’s good to see a large corporation looking out for the “little guy”. I hope this works out for Jay. Jay’s is a great friendly shop, would be a shame to see it close.